Gustare Oils & Vinegars has served its guests from the flagship Main Street Chatham location since 2009. While that dedication continues in 2017, the Gustare shop will relocate to a new uptown Main Street location more conducive to walk-up traffic, extended seasonal hours and promotions with upscale retail merchant neighbors in the heart of town. Gustare will bring its gourmet brand into the “village” location at the sidewalk intersection of Main Street, Chatham Bars Avenue and Mill Pond Road — specifically into the location recently vacated by the Minnows & Guppies children’s store at 461 Main Street. The newly renovated retail space in the corner classic, antique building enhances the gourmet shopping experience for our guests. Gustare will reopen at 461 Main Street on March 1. 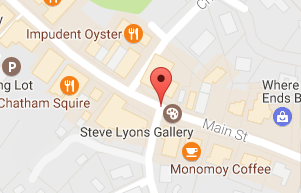 The Mayflower retail shops “village” location is shared by Mahi Gold Outfitters and Steve Lyons Gallery. Shop merchants frequently co-market local shopping events in cooperation with the Chatham Merchants Association. Gustare will remain open in the meantime at 425 Main Street Friday through Monday, 11 a.m.-5 p.m.